The pressure for organisations, in the public or private sector, to reduce costs is constant. At the same time, organisations have to remain or improve user productivity in all their departments to stay competitive. This is even further magnified during a recovering economy as organisations face challenges of sustaining or growing revenue from customers or even government. Management and shareholders are always on the lookout to reduce their expenses. Innovative technology is one area where companies can look into to help to lower expenses with efficiency gains. 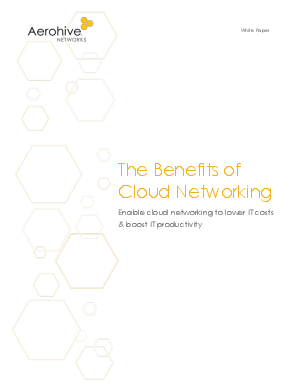 Download this whitepaper to understand how cloud networking can benefit your business.